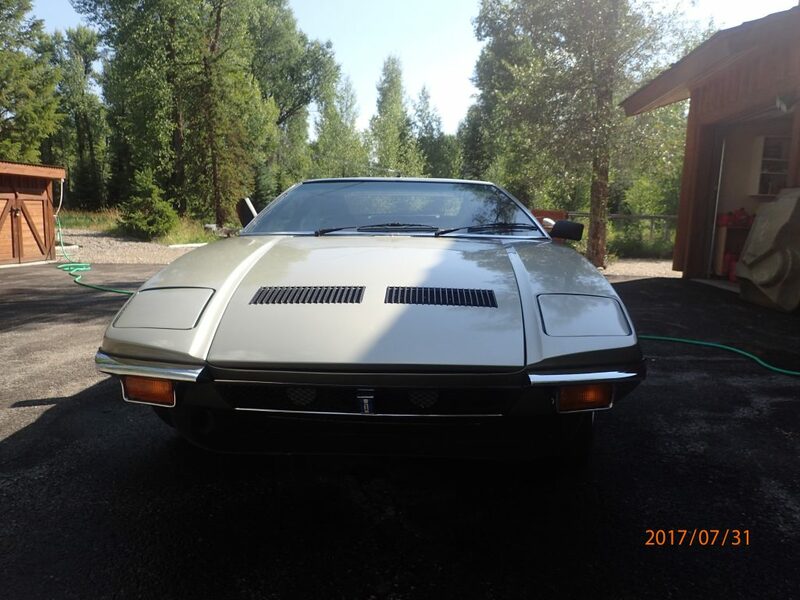 This amazing car was designed by the Italian design firm Ghia by American born designer Tom Tjaarda and replaced the De Tomaso Mangusta. 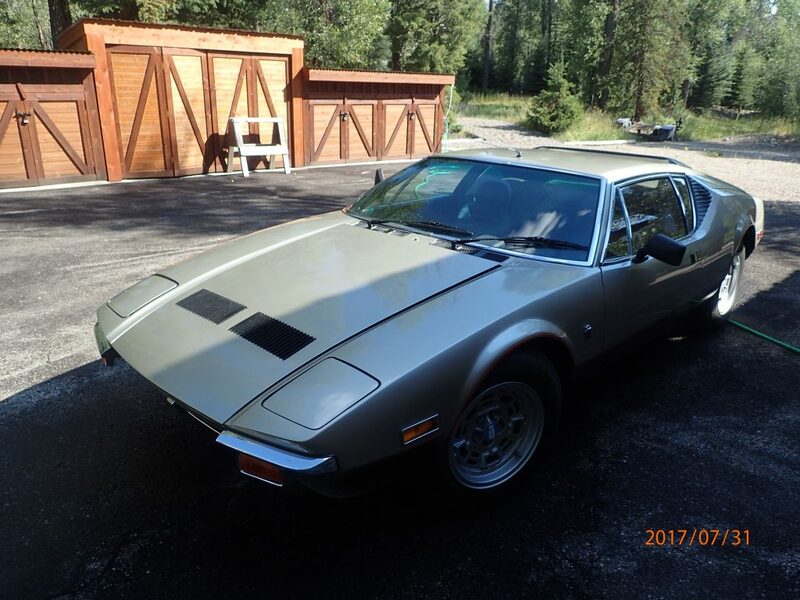 Unlike the Mangusta, which employed a steel backbone chassis, the Pantera was a steel unibody design, the first instance of De Tomaso using this construction tech. The Pantera logo included a version of Argentina's flag turned on its side with a T-shaped symbol that was the brand used by De Tomaso's Argentinian cattle ranching ancestors. 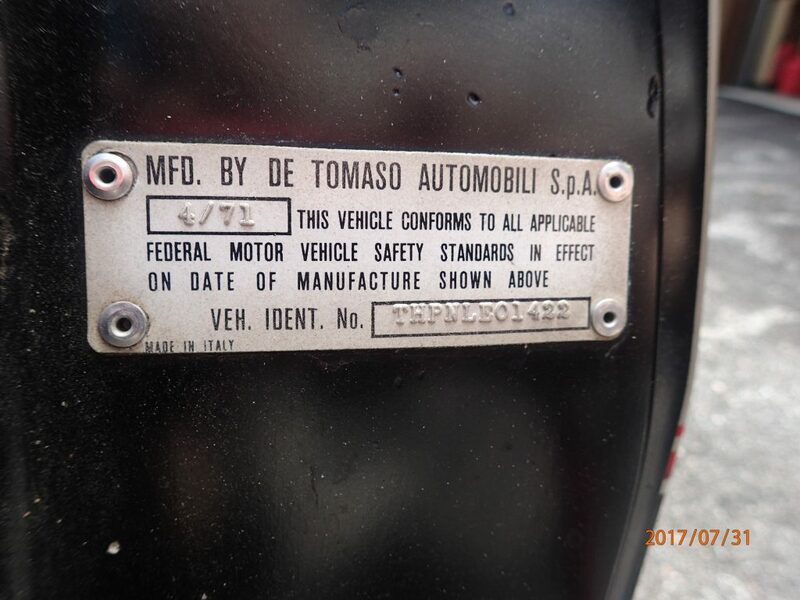 The logo has the colors of the Argentine flag not because of De Tomaso's ancestors but because the company's founder, Alejandro De Tomaso, was born and raised in Argentina. He emigrated in his 20s to Italy in order to avoid political persecution from Juan Domingo Perón, president of Argentina in those days. 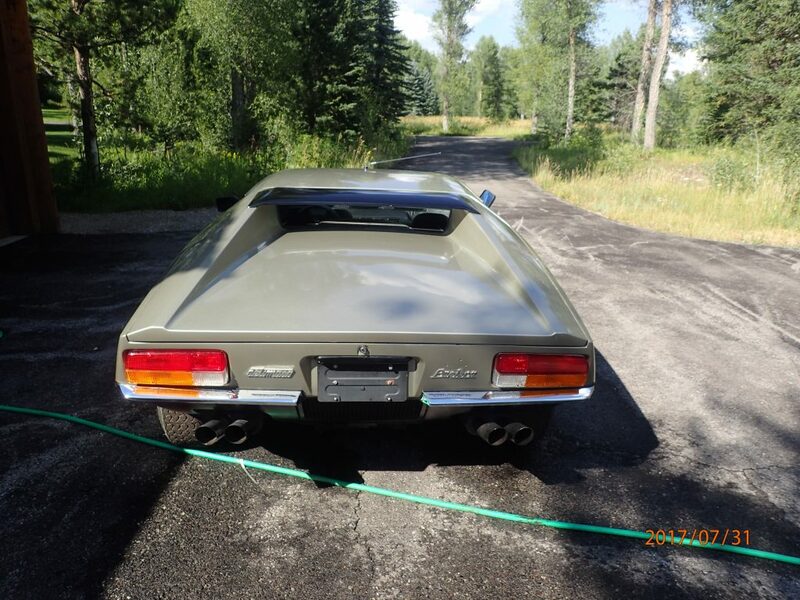 The first 1971 Panteras were powered by a Ford 351 cu in (5.8 L) V8 engine producing a 330 hp (246 kW; 335 PS). The high torque provided by the Ford engine reduced the need for excessive gear changing at low speeds: this made the car much less demanding to drive in urban conditions than many of the locally built competitor products. 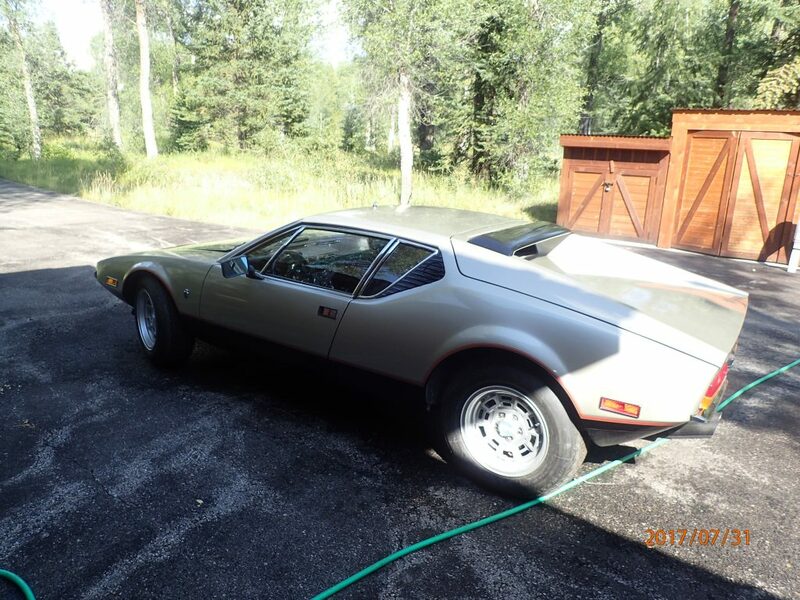 This specific 4,600 mile from NEW example is a very original, and thus very RARE vehicle. 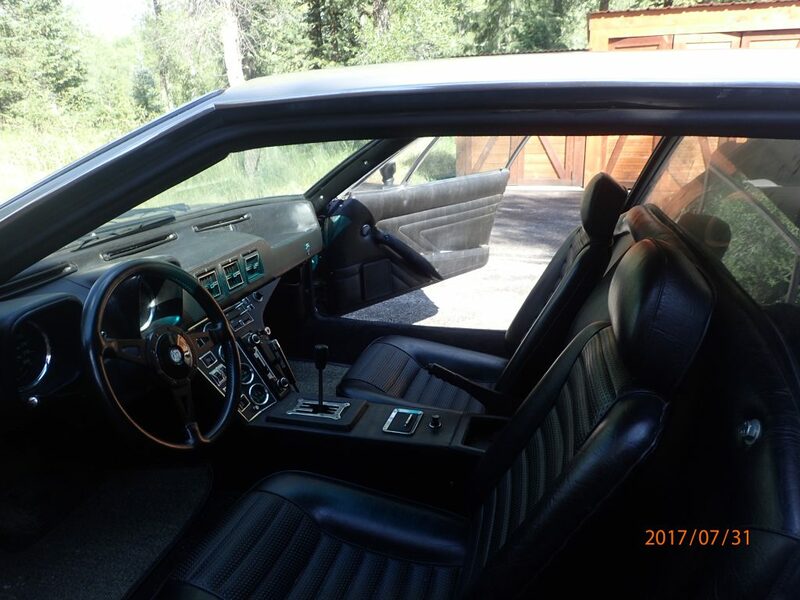 Owned by it's current owner for 20 years, the interior and body are totally stock. To our knowledge, nothing has been done to the car. It appears to have the original paint, factory wheels and has the original A/C. We believe it also has the factory exhaust as well. It has a original radio, which is an 8 track mounted vertically and it has a microphone attached to use as a Dictaphone. Unlike many cars of this era, it has the engine bay & front fiberglass tray, however, they need restoration. 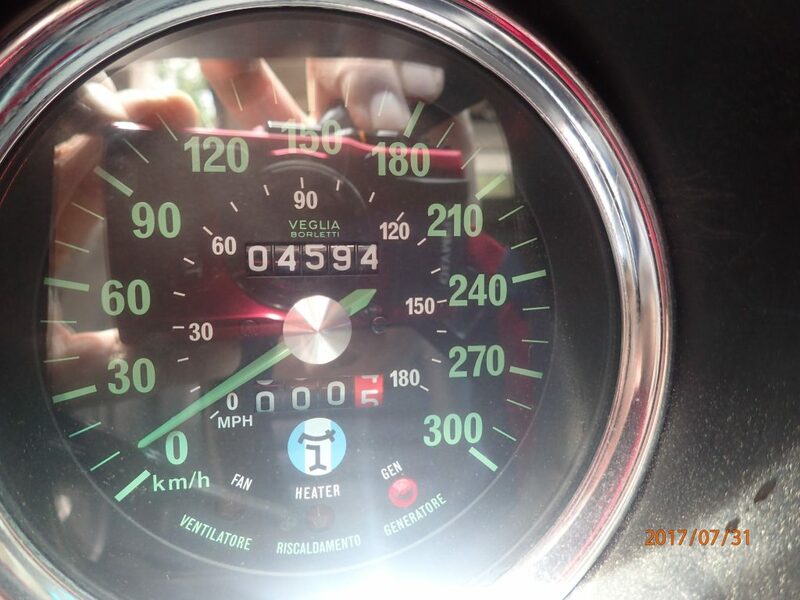 It does not have the tool kit, spare tire or air canister, as none of these were with the car when the current owner purchased the car in the 1990's. 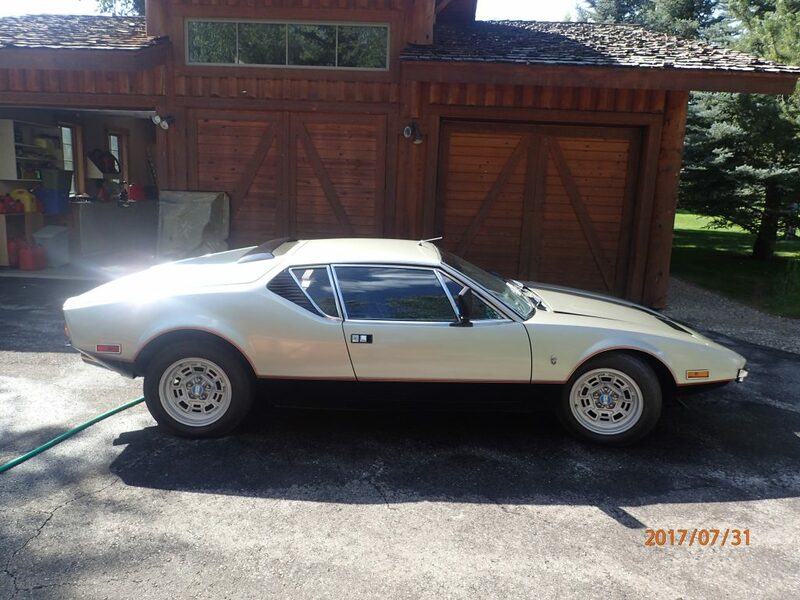 Overall, this is a very original, unmolested and rare Pantera and would complete any collection of Italian and American sports cars.